August 5, 2017 April 17, 2019 - by Sourabh Kumar - 2 Comments. Mobile Phones and Smartphones are all fun due to the vast freedom and features we enjoy in it.But New phones and Smartphones models are releasing continuously and they attract us very badly. 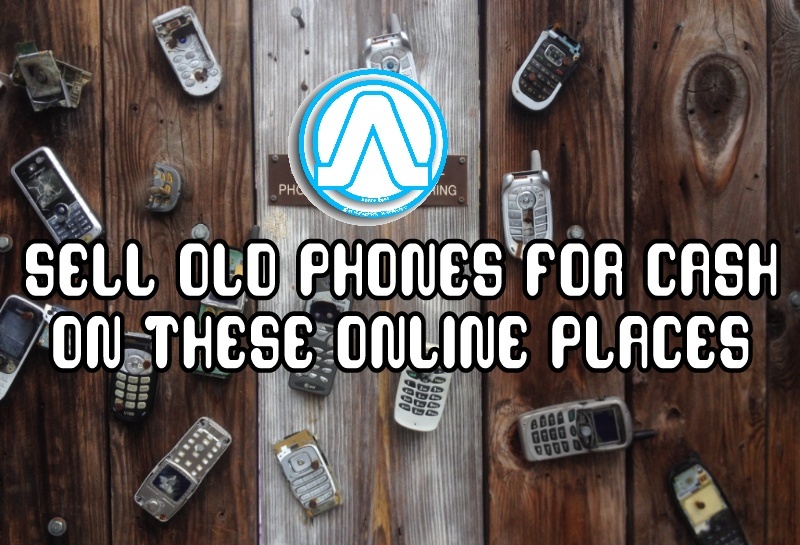 So if “you want to sell old phones as you are interested in buying a new one”, or “You have some phones that are not of any use for you” and want to know that “Where to sell old phones online?” then you are at the right place because today we at We Observed are sharing some cool Online Places that buy old phones. But before selling your smartphone, You must have to Erase Data From Your Android Smartphone Permanentlyor Erase Data from iPhone Permanentlybecause our smartphones have become the secret keepers of our personal and professional life. Whether it be personal photos, videos, contacts, financial information or business emails and files, you cannot risk losing any information to an outsider at any cost. So if you want to sell your old device as you are interested in buying a new one, or probably exchanging a better one. Then before giving away your phone, it is a must that you remove all the accounts, passwords, and all the user data. Performing only a factory reset on the phone might be a good idea to solving some of the problems but not a foolproof one as information saved in your phone can still be traced and sometimes recovered if the other person is having some technical knowledge. Junglee.com is the best place to sell iPhone, Samsung Smartphone or any branded Electronics Thing.Junglee.com is a service by Amazon.It is designed uniquely for India with the vision of helping anyone buy and sell anything online. Junglee is the only online marketplace in India which enables customers to buy new and used products from all types of sellers including individuals, home-entrepreneurs, and micro-businesses. 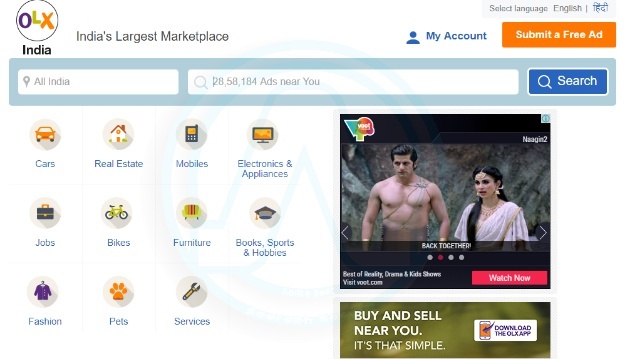 Customers can transact directly with sellers using Pay with Amazon.Anyone can sell Electronics gadgets and other product online by creating ads for their products on Junglee.com and receiving customer queries. OLX.in is one of the best places to sell Electronics Product because here, the seller will decide the price of the product and can directly talk or meet the customer..OLX.in is a free local classifieds site.You can Sell used mobile, furniture, laptops, clothing and more by just placing ads for free and without creating an account.Then the seller will receive the queries and offers from other customers.If you accept the offer then you can decide to meet or courier the product and then you will receive the payment. CeX was founded in London in 1992. They have stores in India, UK, Spain, USA, Ireland, Australia, Portugal, Netherlands, Mexico, Poland and Canarias.CeX buys, sell and exchange a range of technology and entertainment products.CeX/Webby is one of the best online places that buy old phones, used phones, old video games, Blu-rays and DVD Films, used tablets, used computers, digital electronics, vision, and music CDs. You can also donate your unwanted games and gadgets to charity at CeX. CeX has 350+ stores across the UK and 500+ Worldwide. Just go to the website select the product, then you will receive offers or the price and then after confirmation, they will do all the remaining part of work. Quickr doesn’t ask for anything apart from the phone and battery. The charger is also optional.So even though your phone doesn’t have a box, earphone, and even no bill still it can be sold on Quickr platform.You don’t have to hassle with the buyers and neither do you have to step out of your home.Even money is promptly credited to your bank account so no troubles.Quickr is providing an amazing resale value for the old phones. 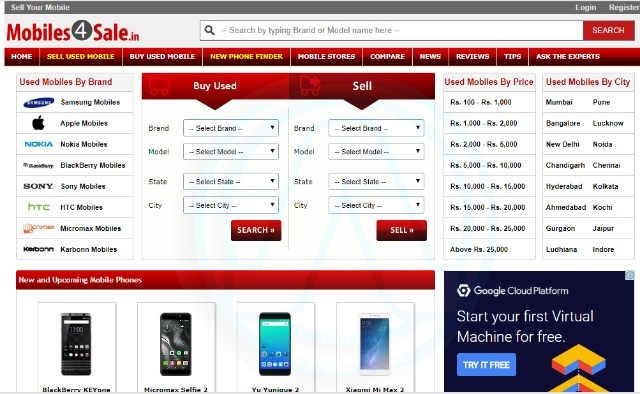 Firstly check whether quickr has a resale value for ur device by providing old phone’s brand, model, and city.You will see the resale price of your used phone.On next page enter contact details and your address.Your order is placed now and you will be given a Ref. Id.Immediately you will get a call for quicker customer care asking you to confirm the order and the appointment time for inspection of the phone. He will also give you an email where you have to enter your bank details and get it updated in their system.On the selected day either a Quickr X Representative / or a third party Inspection Team will come to your doorstep to collect the phone.Once all tests are done your old used phone is picked up and packed properly and then it will be shipped to the Quickr Office.Once it reaches the Quickr office your payment will be processed within 72 working hours. Cashify is one of the best places to sell electronics items.You can earn good cash for electronics Product here. 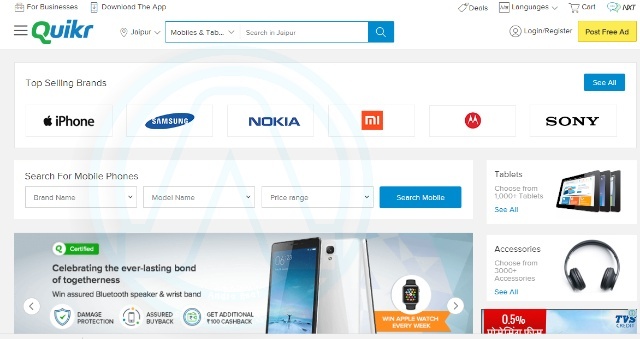 You Just Have to open the website in any browser and then Select your device & they’ll help you to unlock the best selling price based on the present conditions of your gadget & the current market price.On accepting the price offered for your device, They’ll arrange a free pick up. Instant Cash will be handed over to you at the time of pickup or through payment mode of your choice. Cashify enables users to sell their old Electronic gadgets instantly. The platform provides an Assured Sale service that takes no more than 60 seconds. There is a feature to diagnose the smartphone automatically and with minimal input provide the user with an accurate and assured selling price. If the user likes the price and gives the intent to sell, the old device will be picked up within 24 to 48 hours from their home/office and will be given instant Cash at time of pickup. With this, Cashify makes the experience of online selling convenient, fast, easy and secure. Sahivalue is the service to buy and sell your gently used mobile phones and tablets from the comfort of your home or office. SahiValue offers the highest price for your old phone or old tablet if you wish to sell them to SahiValue.They also offer certified, low priced Second-hand items with a same day delivery service if you wish to buy from them.To sell your used Phone, You have to provide the brand and model detail of your used Cell Phone/Smartphone on the website.Then confirm the order and the appointment time for inspection of the phone.Repersantive will come and inspect your old device if everything will be ok you will receive good cash for your used cell phone or smartphone. MoSwap is a reCommerce marketplace that offers great value for your used phones and electronics gadgets.They provide good service and good prices for your gadgets.Moswap makes sure that their customers get the highest price offer with the smallest amount of efforts.You just have to Go to the website and select your device, they will give you offers and after confirmation, Moswap will pick the product and you will earn cash for your old Electronics gadgets. Mobiles4Sale is an online marketplace where you can buy or sell old phones and new mobile in India. Also, you can read the latest news, reviews, tips, and features on mobiles, tablets, wearables, laptops, and technology. If you have questions you can ask their experts. In this Article, We introduced about “8 ReCommerce Websites that buy old and used Electronics products in India“.Most of them are well reputed Online places where you can sell old phones and used Electronics gadgets. 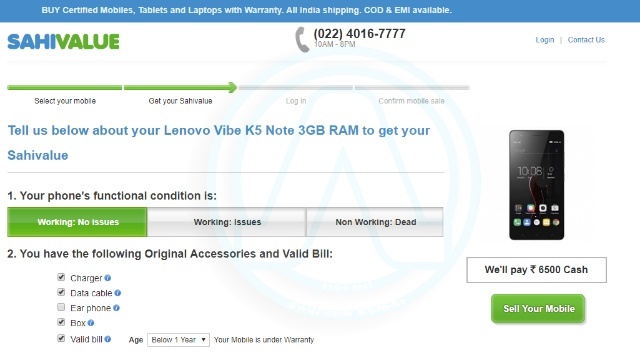 The process is almost similar either we have to provide details of the old electronics gadget on the website and they will give you the offer or you have to place ads of your Old cell phone/ gadget. This article is based on the reviews and personal experience So you can use any of them to Sell old phones at best price.If you like this post share with your friends and keep visiting. Nice Post. one of the online place I know to Sell Old Phones for Cash is Telecom Recycle. It is a leading ITAD company who specialized in buying and recycling of redundant business telephone systems and handsets. Try it today and get a fair quote for your telecom equipment. You can sell your old phone on Instacash, it is also a very nice platform for selling your smartphone in best price.